About two years ago, Dr Mike Murdock was in COZA and workers had a session with him. After the session he asked us to sow a seed of N112,000 he called it a territorial anointing seed. I was not interested in sowing that seed because I just got an apartment I was trying to pay for but the Holy Spirit said to me " can I talk to you about that seed? " Thank God I yielded to the Holy Spirit, The Holy Spirit will never force you to do anything, He will nudge you in the right direction. I sowed that seed and suddenly I began to get calls from people saying things like " I was dreaming and God told me to join Sapphire Scents", some would say "something told me I need to be part of this business" and many more like that. It's been two years since that time and people are still coming everyday to say that God told them to join Sapphire Scents! Trust me, there are angels in charge of marketing, advertising, public relations and sales. I have experienced some of it and it works! If you ever want to start a business or be a part of a company, do your research and if you discover that it is God at the foundation that business can NEVER go down it will keep soaring but if its based on greed, selfishness, jealous and envious reasons it will crumble and those that are in it will struggle. 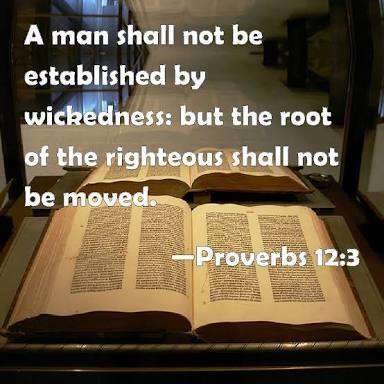 The bible says in Proverbs 12:3 A man shall not be established by wickedness: but the root of the righteous shall not be moved. Wickedness cannot make anything thrive but the righteous will flourish! You too can be a social media evangelist. Please share so that others can be blessed as you have been blessed.